4th Annual Indians in the Hill Country Rally. This year looks to have an outstanding turnout with riders from as far away as Fredericksburg, Virginia and SoCal sending RSVP’s. All rooms have been booked at the Econolodge already, but more are available in the area. 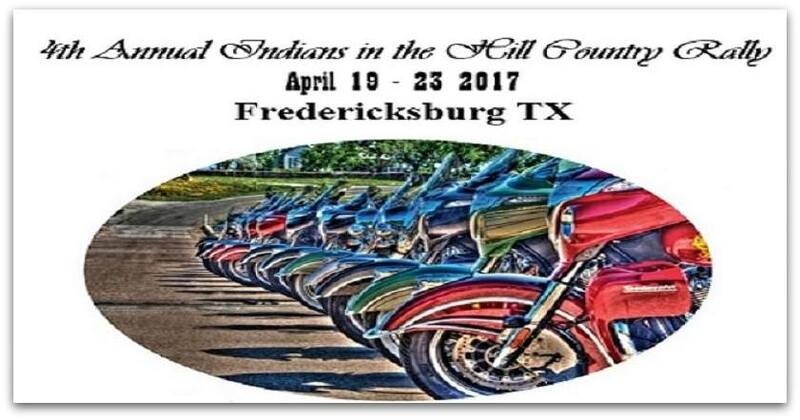 Indian of Fort Hood is sponsoring the Rally as in years past, and Brad Van Horn the owner is having his Annual Bike Show (more info below). Main group is at the Econolodge , but the motel is sold out. There are several motels/hotels nearby. There are over a dozen throughout the cit. Additionally, RV campgrounds are available nearby. Dinner Alamo Springs Cafe (will need head count on this as they will need to bring in additional help and stock up on supplies). Last year Brad had a Hot Dog vendor with Dogs, chips and drinks. Still waiting on confirmation on this or Subway 6ft’s, chips and drinks. Ride to Indian of Fort Hood for the Annual Indian Motorcycle Show (approx. 1.5 hours). 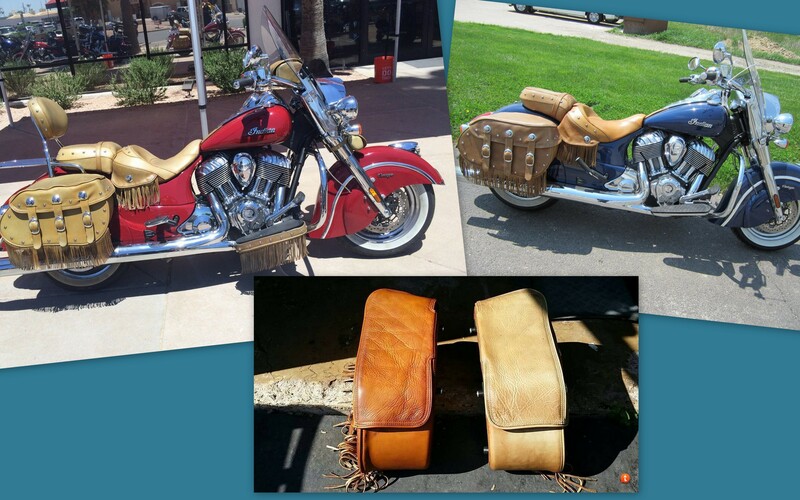 Since 2009, Indian’s distressed leather on the bikes has been ….. less than desirable when it comes to keeping it’s original look. A lot of folks have gone to great length, trials and tribulations, felt a lot of pain along the way , to find solutions. Been a hot one lately folks! Rainy .. muggy .. hot. We love our Texas Summers, but can’t help but look forward to some coolers temps to ride in. Next up on the Calendar for many is …. The Hot Springs Rally! Three days of fun, music and great riding ! If you opt for a wrist band , $50 will get you an entire weekend to include two nights of concerts; not a bad deal! Check out the links and we hope to see you all there! Yes…. it was Epic . Ready for 2017? Well, we’re in somewhat of a lull folks.. it’s HOT out there and not a lot going on! Republic of Texas Bike Rally , one of the largest , craziest in the country just came and went. 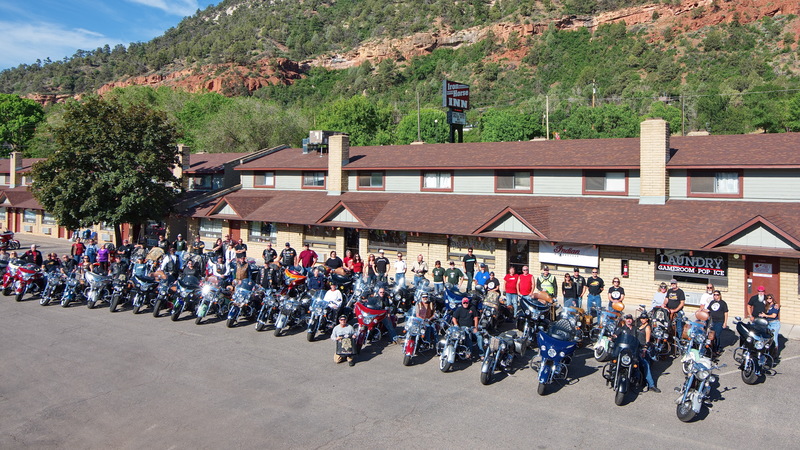 Many folks from Texas two weeks ago headed up to Durango for either the IIRA’s Reunion or the IMRG’s rendezvous. Both were the same weekend and close to each other. We heard the Friday night banquet help by the IMRG was a success. The IIRA had upwards of a hundred members and at least 52 Indian motorcycles, in attendance. Both events, are already scheduled for next year , so get them on your calendar! Well folks , next month, less than thirty days out, we have a major event in the west for the Indian Motorcycle Community! 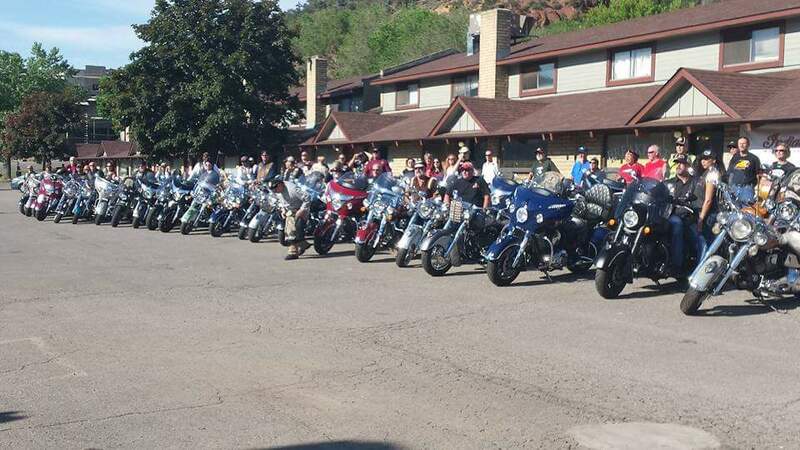 The Iron Indian Riders Association which has been around for almost 14 years, is having their reunion in Durango Colorado. , 10 -13 June. There are no official numbers, but a solid guess is upwards of 350 for the IMRG from 5+ States and 100 IIRA from around the country. That should correlate into 200-300 Indian Motorcycles running down the Million Dollar Highway! With some incredible riding ….. you’ve got to be asking yourself …. . “Why am I not going?” Good question.. so, come join us! If you have any questions or need more info, please comment below and we’ll do our best to answer them and/ or point you in the right direction!!! Daytona Bike Week // 75th Anniversary! Decemember is fast approaching … our Northern friends are putting away their bikes for a long sleep , or even better, upgrades! Most of us in Texas are thinking … “Riding Weather is here!” Cool nights, perfect temp days ( sometimes with the help of a lil’ leather ) . But …. what is next, on the Horizon for some of us? Daytona! And , it should be the biggest and the baddest, celebrating 75 years! Question is …….Will you be there? The ‘World’s Largest Motorcycle Event’ is celebrating 75 years in 2016! Join over 500,000 motorcycle enthusiasts March 4-13, 2016 for Bike Week. Ride down historic Main Street and Beach Streets, along AIA or the Ormond Beach Scenic ‘Loop’. This year’s 10-day event proves it’s high octane with street festivals, concerts, motorcycle races at Daytona International Speedway, bike shows, rallies, manufacturer showcases and more. We’ll be celebrating at Bruce Rossmeyer’s Destination Daytona, Riverfront Park in downtown Daytona Beach, and the U.S. 1 corridors in Daytona Beach and Ormond Beach and at ‘The World Center of Racing’. For more information on Bike Week and accommodations, visit BikerBeach.